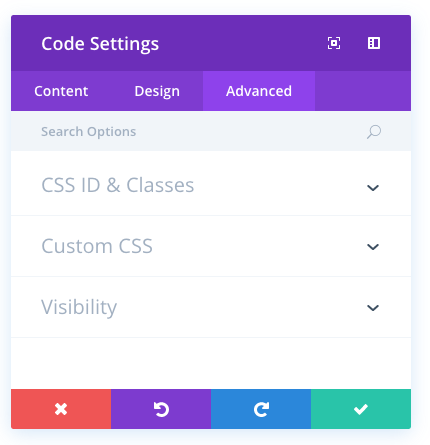 How to add, configure and customize the Divi code module. The Code Module is a blank canvas that allows you to add code to your page, such as plugin shortcodes or static HTML. 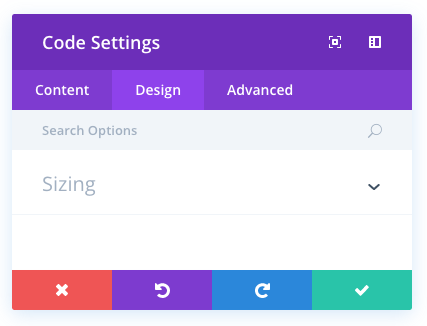 If you would like to use a third party plugin, for example a third party slider plugin, you can simply place the plugin’s shortcode into a standard or fullwidth code module to display the item unimpeded. 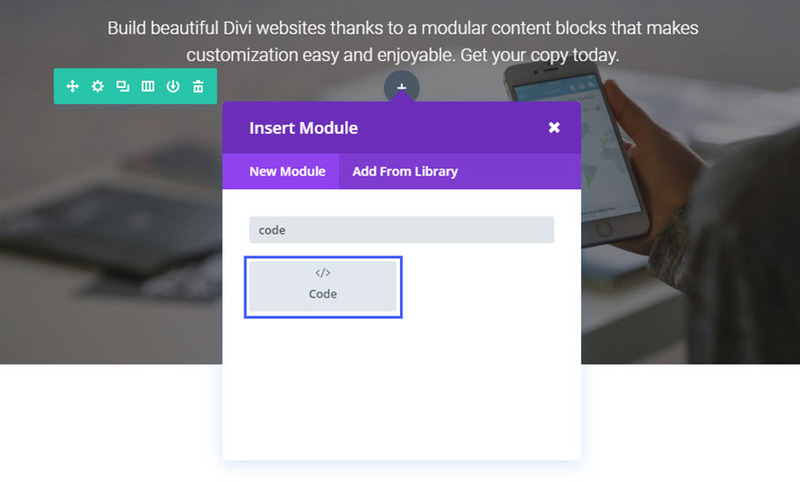 Before you can add a code module to your page, you will first need to jump into the Divi Builder. 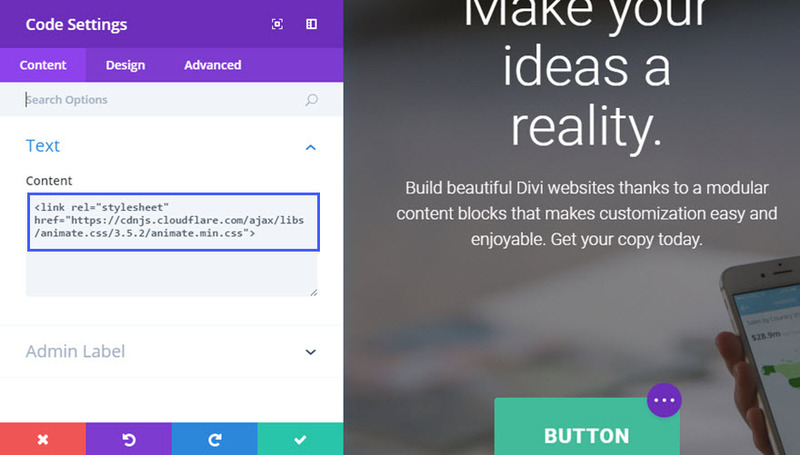 Once the Divi Theme has been installed on your website, you will notice a Use Divi Builder button above the post editor every time you are building a new page. 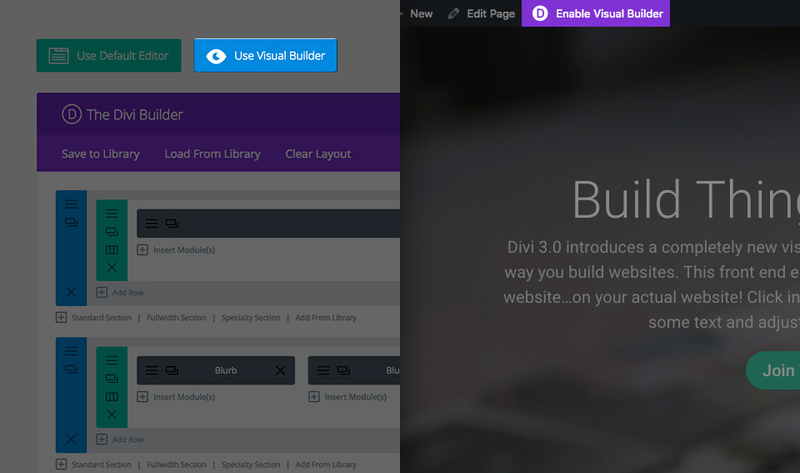 Clicking this button will enable the Divi Builder, giving you access to all of the Divi Builder’s modules. 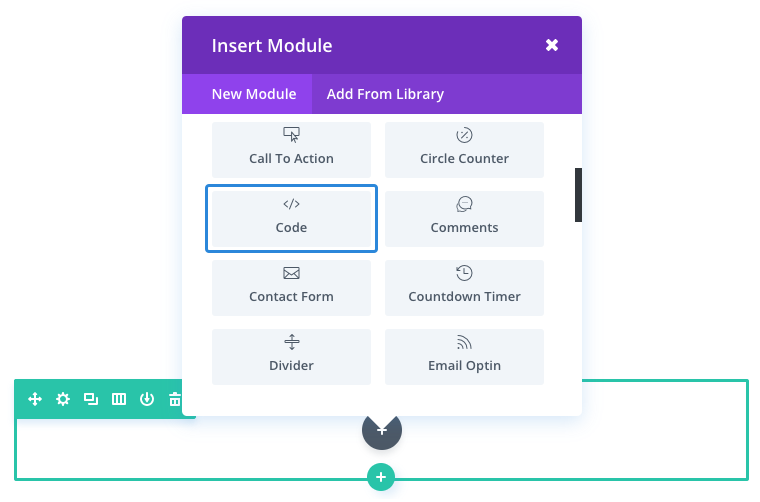 Next, click the Use Visual Builder button to launch the builder in Visual Mode. You can also click the Use Visual Builder button when browsing your website on the front end if you are logged in to your WordPress Dashboard. Locate the code module within the list of modules and click it to add it to your page. The module list is searchable, which means you can also type the word “code” and then click enter to automatically find and add the code module! Once the module has been added, you will be greeted with the module’s list of options. These options are separated into three main groups: Content, Design and Advanced. In this example, I’m going to add a link script to import Animate.css in order to add animation effects to the elements on the page. Since the Animate.css file has a lot of code, it makes sense to load it only on the page that I need it. 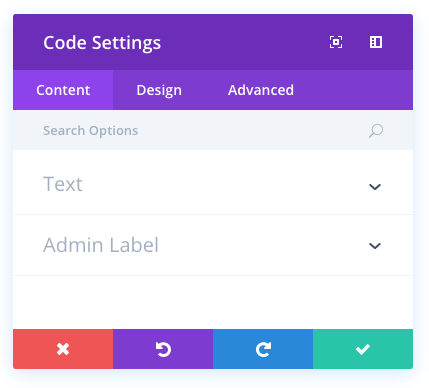 Simply add a Regular Section and a fullwidth (1 column) row and add the Code Module. In the content text box, add the code snippet. Now, all you have to do is add a few CSS classes to animate any element of your page of CSS classes to your page. In this example, I’m going to make the button bounce when loading the page. In the Button Module Settings, under the Advanced tab, enter the two clases “animated” and “bounce” into the CSS Class text box. Now the button will bounce when loading the page. Tip: Sometimes adding code with line breaks will cause the code not to work. It is best to create your code in a text editor and concat it (make it all on one line) before pasting it in the Code Module. Any value entered here will restrict the width of any content rendered within the code module to the defined value. For example, entering 50% into the input field will reduce the content of the code module to 50% of the column that contains it.